Who couldn’t fall in love with coral? With its warm and youthful tone, it pairs well with anything from navy blue to gold and looks smashing in big bold florals and geometric patterns. 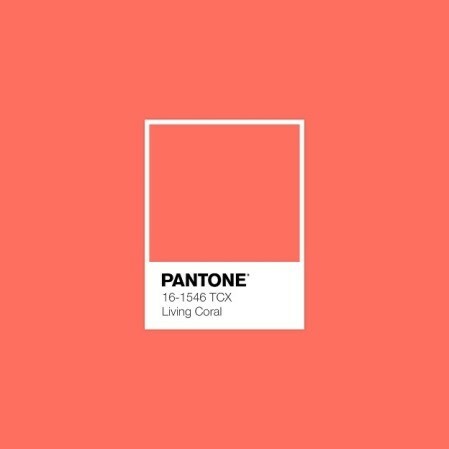 Coral has always resonated with me… in fact; it’s my all-time favorite color next to turquoise. 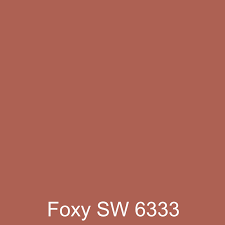 One of my former all-time specified colors was Sherwin Williams Foxy SW6333. I loved this traditional terra-cotta orange hue, and I specified it often. 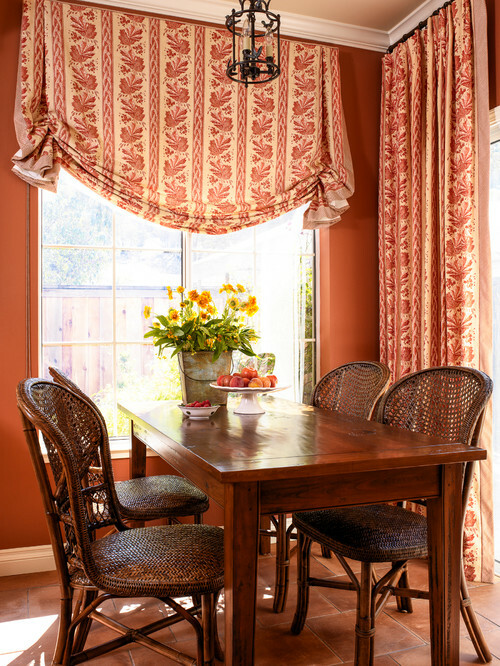 This was my alternative color to tomato red, a very popular hue during the former “Tuscan-Old World’ décor trend. Back in 2010, many of my Atlanta clients weren’t ready for the brighter pinker version of coral. 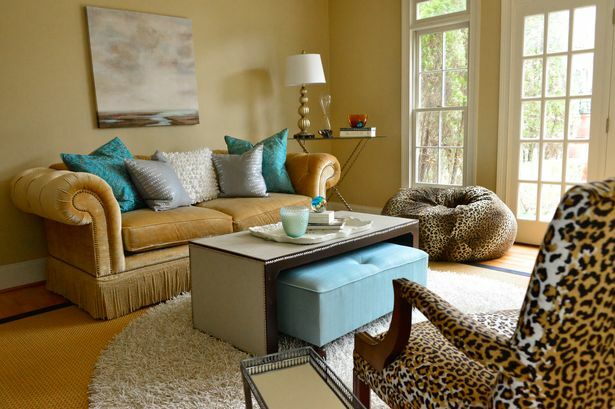 But, with the new shift in style to transitional décor, colors are cleaner, brighter and less intense. So hail to coral! It is making its debut as the color of the year, and it’s not just for the coastal client! This fun-loving color will bring a touch of summer to any room thanks to its orange and pink overtones. Its values range from salmon to rust and will cheer up any room. I encourage my design clients in Atlanta to use it year round! Better yet blue-la-la! 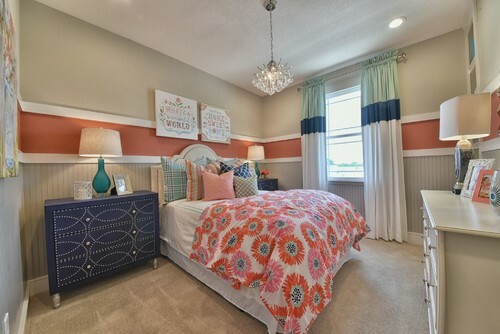 These two colors balance each other out and give your room a chic and transitional look. This combination will leave your space light and airy. Both colors are reminiscent of the sea and pair well together. 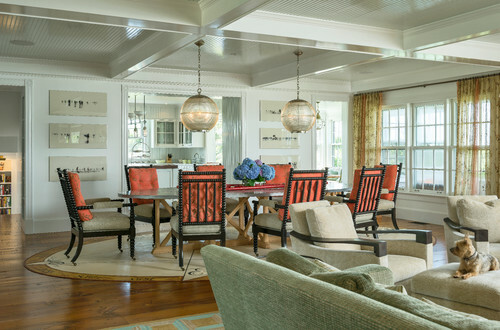 If you like a bolder sense of style, the richness of gold and the warmth of coral adds class to any space. For centuries gold has been considered the color of wealth. However, when coral is added as an accent color, the combination speaks of romance and intrigue. Who hasn’t been to a wedding where the bridal party was dressed in black tuxedos and coral bridesmaid dresses? 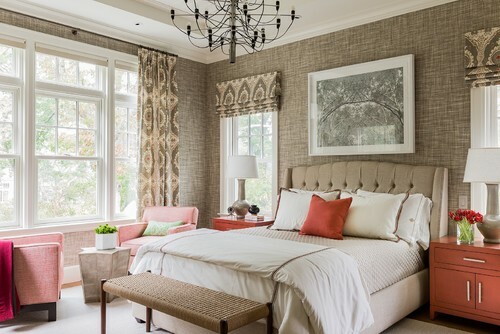 Coral steals the show when used as an accent color against many shades of grey and black. The room above makes use of beige and cream to soften the coral and black combination. While coral is a favorite in beach-themed rooms, this space makes a contemporary statement with no references to the ocean what so ever. There are so many beautiful ways you can incorporate this year’s color of the year into your home. From adding small coral accessories in a vignette to making a bold statement with an accent wall color, this year’s color is to be a hit in new interior design projects all over Atlanta. 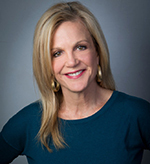 Looking to sell your home this year? 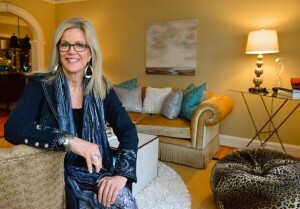 Call me today and let me help you stage your home to entice even the most finicky buyer.